Here is another photo of Dickie Spur hut to go with the one from 1975 that I posted on here. 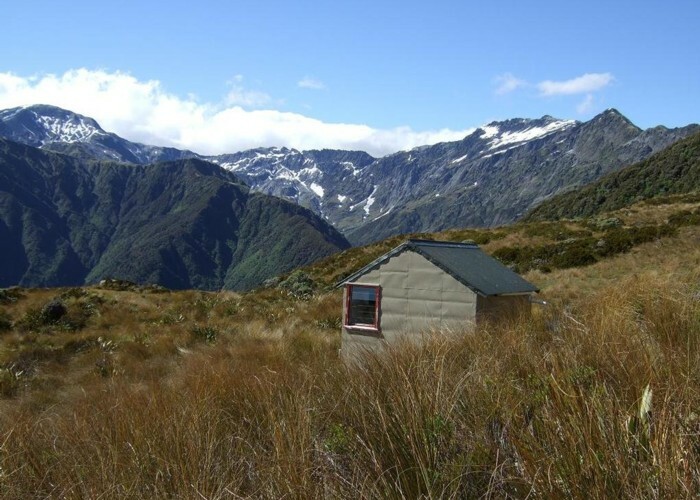 Today four of us walked up from Polluck Creek hut in the Kakapotahi Valley with day packs, had a snack at the hut & look around then returned to our vehicle at the Kakapotahi roadend. It was my first time back up there for over 36 years and the others first visit. We had good visibility but it was hot & windy! Added 8 January 2012 by glennjglennj. No revisions. 63 views in the past year (5 per month).